Home / Entertainment News / LADY exposes her criminal husband and shares PHOTOs of the fake police uniform he hires to thugs (PHOTOs). 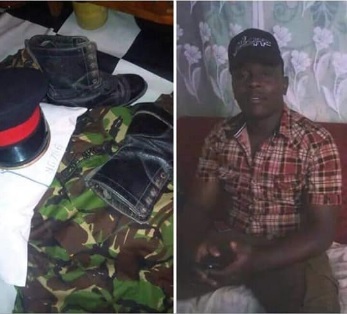 LADY exposes her criminal husband and shares PHOTOs of the fake police uniform he hires to thugs (PHOTOs). Wednesday, August 22, 2018 - This lady claims her husband has been engaging in criminal activities. 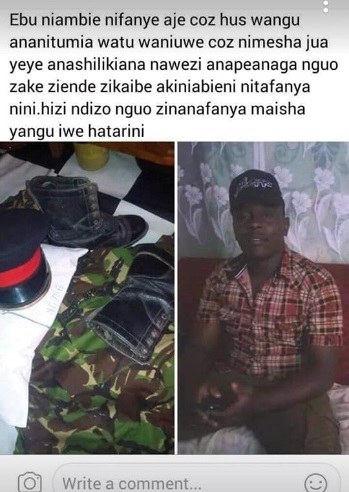 She shared photos of the fake police uniform that her husband hires to criminal gangs during robbery missions and further claimed that he is threatening to kill her after she found out he is a thug.